It's about time that these albums received a proper re-release after the butcher job the German Line label did with them in the late 80s (large parts of tracks missing, track indexes in the wrong places, and sound quality uniformly wretched... sheesh!). The band got their start in Los Angeles where guitarist David Allen, his sister Angela (keyboards, vocals, flamenco dance) and Spanish expatriate Roberto Amaral (vocals, vibraphone, flamenco dance and choreography) formed the band along with British-born bassist John Glascock. The whole concept behind the band was to merge all their talents (flamenco dance and music) into a progressive rock band. They utilized a special miked stage in their performances to amplify the footwork of Roberto and Angela; it was something new and different that hadn't been done before, but in Los Angeles they were met mostly with indifference, so the entire band moved to England in hopes of finding a more receptive audience there. Within months they signed a record deal with Tony Visconti producing, and found an ally in David Bowie, who got them a spot on the late-night concert TV show Midnight Special. 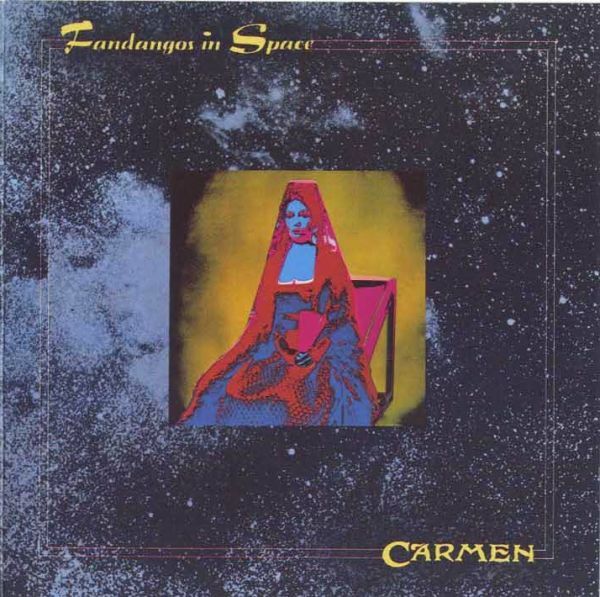 Fandangos in Space and Dancing on a Cold Wind were released in late '73 and early '74 respectively (the latter a U.K.-only release), and certainly lived up to the promise of their initial concept. The music ranges from classical flamenco guitar to manic hard rock, often delivered in lengthy multi-sectional suites; synthesizers and Mellotron and blistering electric guitar solos abound, with vocals freely jumping back and forth between Spanish and English in a harmonized style, with percussion delivered via footwork and castanets. Their music is rousing and restless, always changing, evolving and surprising the listener at every turn. The second album differs from the first in that it contains a side-long suite "Remembrances" (here indexed as separate tracks). Two previously unreleased studio tracks are added to the second disc as a bonus. Carmen were true originals; it’s good to have proper reissues of these available finally. Do you like Jethro Tull? Curved Air? Flamenco dancing? Did you ever wish for a combination of the three? Your wish has come true, and its name is Carmen! And if you don't think they could pull off such a "Hey-you-got-chocolate-in-my-peanut-butter" combination, you've obviously not yet heard a Carmen album. The players are: David Allen on vocals and guitars, his sister Angela Allen on vocals, keyboards and "footwork," Roberto Amaral on vocals, "footwork," castanets and vibes, John Glascock (later of Jethro Tull) on bass, and Paul Fenton on drums. The sound is centered around guitar, keyboards are used subtly but to good effect. David and Roberto alternate as lead singers, with occasional lead vocals by Angela. But the distinctive part, of course, is the flamenco angle, which is certainly why they are one of the most original progressive bands ever. Of course, there's Allen's guitar playing. He plays the electric guitars with the same force as the acoustics. 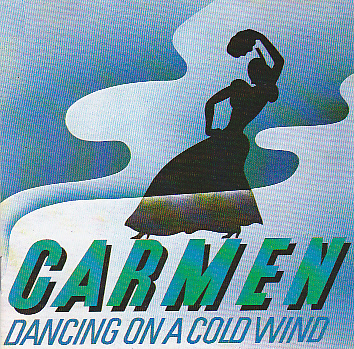 But the one thing that assures you'll never forget is the heel-clicking, castanet-clomping dances, which is the one thing that I look forward to whenever listening to a Carmen album. It's hard to say which of the first two albums is better, both are excellent starters. But Dancing on a Cold Wind does include "Remembrances (Recuerdos de Espana)," a 23-minute rock-opera type epic, so use that as a factor in deciding which one you want first. (I haven't heard The Gypsies, the third album, yet. The prevailing opinion is that that's the last one to get, it's supposedly more subdued than its predecessors.) Progressive rock and flamenco music. Two great tastes that taste great together.